Noble Silence & Our Daily Ritual Each day will begin with a Noble Silence practice, where we will integrate Vipasana style meditation, Yang Vinyasa, Iyengar, and Pranayama to awaken and enrich inner life. We will remain in silence through breakfast, after which we will break silence with learning modules crafted to deepen your own relationship to Yoga & Chakra Theory, Asana & Alignment, Buddhist + 8 Limb Yoga Philosophy, Meridians, Sequencing & Adjustments, and more. After lunch we will dive into each of the 5 Elements, and embody the practice through guided Yin sequencing of each element. Cooking classes, Yoga Nidras, Restorative Practices, and Teaching Practicums will be segmented throughout the evenings. Samadhi Retreat Center. Seven geodesic chakra bungalows rise along the ridgeline of the Sacred Valley with a kundalini serpant river threading through. Your shared residence will be within one of these sacred chakra homes, inviting in the color, gemstones, flowers and healing vibrations of that chakra. 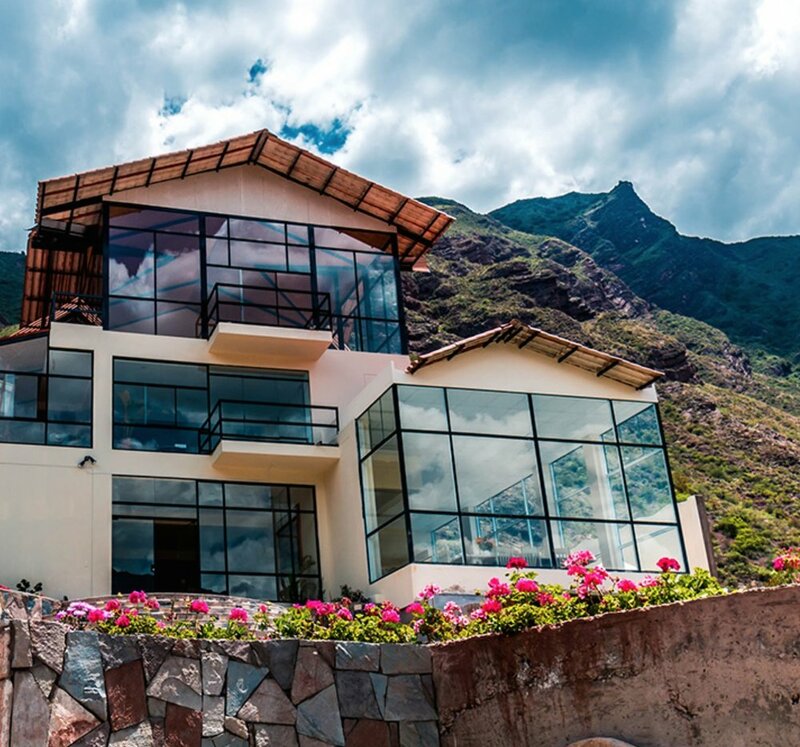 The main house above the crown overlooks the Sacred Valley, where we will celebrate the balance of Yin and Yang together as a spiritual family in this unique and world-renowned yoga shala. Samadhi is an intentional retreat center to know and and explore your own essence in this sacred, ancient land. See more at here.